A remastered version of an award-winning puzzle platformer. 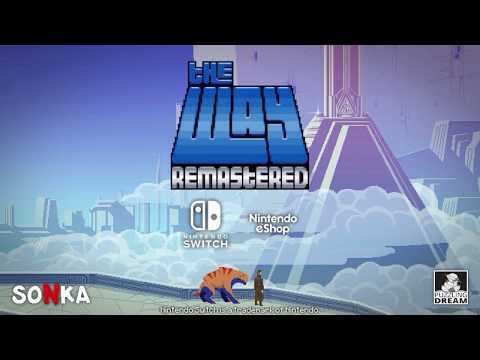 The Way Remastered tells a story about a member of space explorers team who lost his beloved and cannot accept her death. During one of his expeditions he discovers ancient writings that testify the existence of a method for obtaining eternal life. Hoping to get his beloved back, he decides to return to the alien planet. However, the planet hides many secrets and dangers that he must face. The Way Remastered was released on Switch 370d ago in the US and the UK. Notify me when The Way Remastered is available. Based on 3 The Way Remastered reviews, The Way Remastered gets an average review score of 56. The Way Remastered is a fun and challenging puzzle platformer. For better or worse, The Way Remastered is a faithful homage to the old Delphine Software titles that inspired it and players should expect no more or less. At the very least, The Way is forgettable.